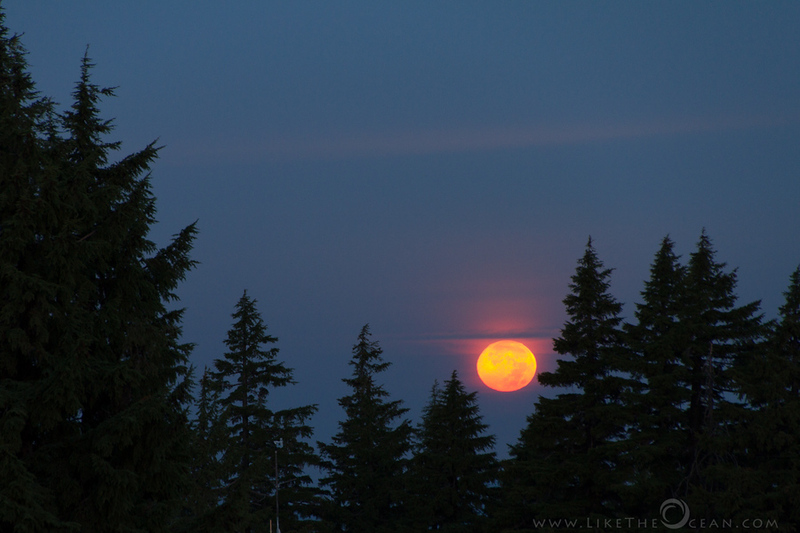 I present to you The harvest Moon setting over the horizon, at the Crater Lake National Park Area. This shot is directly from the camera (RAW to JPEG converted for web display) with no post processing. I would have liked a closer crop, but did not do any processing, to highlight the colors as it existed. Where were u over the weekend, did u get a chance to enjoy the Harvest moon in person !! !